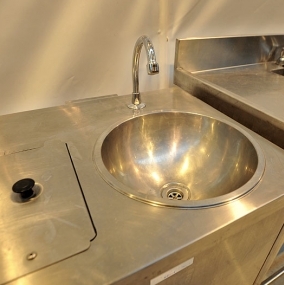 Sink units are essential equipment for temporary events - available now! Hire glasswashers for your temporary professional kitchen at any event. 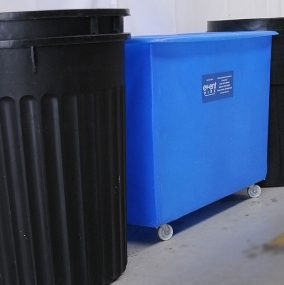 Keep a tidy event kitchen area with back of house bottle skips & dustbins. Handwash units available to hire in quantity to comply with h&s regulations. 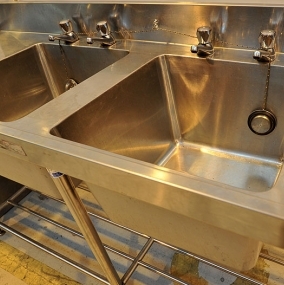 Everything else you need to maintain a hygienic kitchen area at your event. An integral part of hiring catering equipment is, of course, cleaning equipment hire and you are sure to find what you are looking for here. Whether you are organising a wedding, banquet, family occasion, conference, seminar or other corporate hospitality event, award-winning company Event Hire UK will meet all your needs. Browse our extensive selections of sink units for hire, glass washers for hire as well as bins and skips for hire for disposing of your glassware. You can also hire hand wash units and other cleaning equipment hire, meaning that Event Hire UK truly is a one-stop shop for your event hire requirements. Any chefs who have worked in mobile kitchens such as in wedding marquees, arenas or conference venues, for example, will tell you that one of the most frustrating things is not having the right equipment firstly to cook with, and then to keep the kitchen area tidy and clean. Whilst a lot of the preparation work for cooking is done prior to the event, it is equally as important to ensure that enough receptacles of the right type are available in the right place in order for a kitchen to operate efficiently and effectively. A lack of the right equipment in a professional kitchen is the perfect recipe for a nightmare. 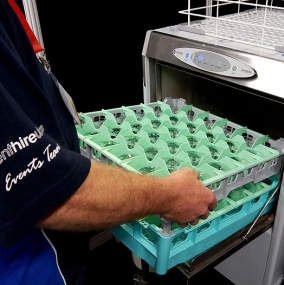 Hire cleaning and hygiene products for your kitchen from Event Hire UK and choose from the complete range to make your facilities the ideal location for top quality catering. We are proud of the fact that we have depots across the UK which are well stocked, meaning that products are readily available for hire for you regardless of the time of year. 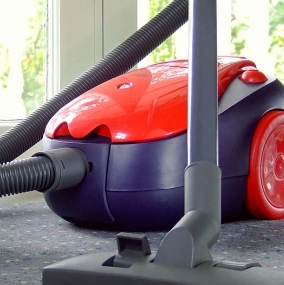 Whether you are trying to hire at Christmas or in the busy summer season, we are always confident that we will be able to provide you with the cleaning and hygiene products that you need for your event. Our products are always in great condition, with electrical products serviced in a timely manner. Have a read of what some of our valued clients have said about us and visit our FAQs page if you have any questions about our industry-leading service. Then please do contact us - we would be delighted to help.